This fitting was designed and produced as part of the feature lighting we supplied to the ‘Forum’ Bar and restaurant in Waterford city designed by McNally Design Group. The form is an inverted frustum in twin form but also with an angled base profile. 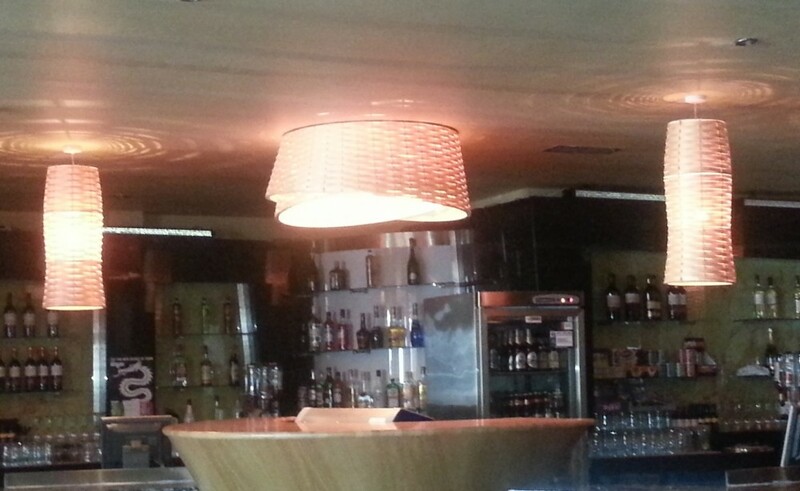 We also included a warm white diffuser disc to hide the light source and provide white light downwards to the bar area. 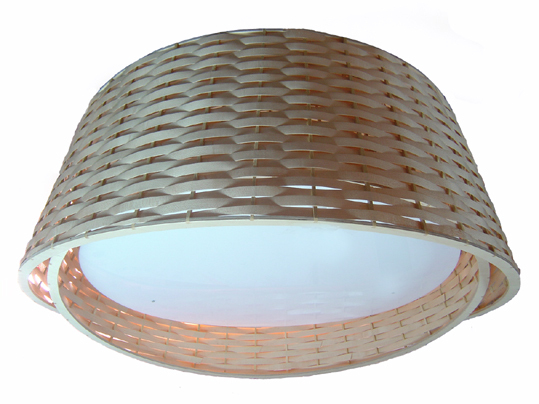 We also supplied many other pendant fittings from the Lightweave collection including ‘Lightweave-Radial’ and ‘Lightweave-Cylinder’ which provide a warm atmospheric glow to the space which has few natural light sources. Many other forms of this fitting can be supplied. Contact us for more information.